Below is a ‘debate’ which I had on Zionist-Nazis collaboration with 2 Zionist falsifiers, Paul Bogdanor and ‘Mad’ Mikey Ezra. I leave it to readers to judge the methods and style of the defenders of the Zionist record during the war years. · For decades Tony Greenstein has brought up the Kasztner case as a key part of his erroneous claim that the Zionists collaborated with the Nazis. The truth is that Kasztner did indeed collaborate with the Nazis but that does not mean to say that “the Zionists collaborated with Nazis.” What Kasztner did was betray the Zionists. He kept silent when many Jews, including numerous Zionists, in Hungary were being sent to their deaths. The Nazis did not separate Jews when it came to Auschwitz and direct Zionists one way and anti-Zionists the other. They did not care, they sent them all to their deaths. If one read the work of Greenstein one might not know that the Zionists were opposed to the Nazis. One might not know that the Jewish Agency Executive (JAE) in Palestine that was headed by Ben Gurion who went on to be Israel’s first prime minister, said when war broke out in 1939: ” We will fight the White Paper as if there is no war, and fight the war as if there is no White Paper.” This war effort of fighting the Nazis on the side of the British included sending many parachutists into occupied Europe. The most famous of these was Hannah Szenes who was killed on her mission and, as Szenes’s mother testified, was someone Kasztner refused to help. This was yet another Zionist betrayed by Kasztner. These facts do not fit comfortably with Greenstein’s thesis. But then again, Greenstein is not one to let mere facts bother him. · I am no fan of the works of John Rose, someone who should have long ago been ignored by the left, but as it seems there are relics of people in the SWP etc who value his opinions, I will say that not even he believes the nonsense of Zionist-Nazi collaboration. I copy the following from Rose’s The Myths of Zionism (Pluto Press, 2004), p.212n5. it is very foolish to draw the conclusion that ‘Zionist collaboration with the Nazis’ was typical or somehow automatically built into the Zionist project, an interpretation which could be put on the subtitle of Brenner’s 51 Documents book. Zionism was perfectly capable of inspiring resistance to the Nazis, as ‘Antek’ Zuckerman, a leader of the Warsaw Ghetto Uprising, makes clear in his massive autobiography,A Surplus of Memory…. See also Levi’s superb, and partly autobiographical, novel, If Not Now, When? (1987) about the Jewish partisans fighting the Nazis in the forests. · Mikey Ezra admits now that Kasztner collaborated with the Nazis but pretends that he betrayed Hungary’s Zionists! He is singing from a different song sheet than that which he used to use. To cite some examples from a debate on Socialist Unity: Perhaps he would be so kind as to tell us what or who it was that convinced him that he had been supporting a collaborator with the Nazis? 7. To suggest what Kastzner did with the Auschwitz Protocols, Greenstein relies upon Vrba, but Vrba was not in Hungary and as such would not have known. 10. Whilst it is true that Kasztner gave testimonies or evidence in support of certain Nazi criminals, he also gave evidence against others. Kasztner made other statements leading to the conviction of other Nazi War Criminals. The fact that Kasztner, who was leader of Hungarian Zionism and played a pivotal role in not informing Hungary’s Jews about their fate (it would have been relatively easy for many to escape to Rumania, which was now a refuge). As a result of the persistent efforts of a real Jewish hero, Rudolph Vrba, one of only 5 Jewish escapees from Auschwitz, the cover ups and lies of Yad Vashem have crumbled. Even Yisrael Guttman, their leading historian after Yehuda Bauer finally admitted that: “Kasztner was given a copy of the report on 29 April 1944… but at that time he had already made a decision, together with other Jewish leaders, choosing not to disseminate the report in order not to harm the negotiations with the Nazis.’ Ruth Linn, Escaping Auschwitz – A Culture of Not Forgetting, Cornell University Press, 2004, p.72 citing Shoah Vezikaron (which of course makes nonsense of point 7 of Mad Mikey’s defence of Kasztner above! Both these quotes can be found in Lucy Dawidowicz’s War Against the Jews, pp. 116, 118. Dawidowicz was an ardent Zionist. ‘The genocide of Europe’s Jews ‘prompted no change in the position of the Jewish leadership in the United States… (Ben-Gurion) concentrated all his efforts on the [Zionist] program, not to the tragedy of European Jewry Teveth p.842. Disaster is strength if channeled to a productive course. The whole trick of Zionism is that it knows how to channel our disaster not into despondency or degradation, as is the case in the Diaspora, but into a source of creativity and exploitation. Teveth pp. 851, 853. These citations are contained in a chapter of Ben Gurion’s biography ‘The Burning Ground 1886-1948 entitled ‘Disaster Means Strength’. This was exactly the attitude of the Zionist movement towards the holocaust. Disaster is strength if channeled to a productive course. The whole trick of Zionism is that it knows how to channel our disaster not into despondency or degradation, as is the case in the Diaspora, but into a source of creativity and exploitation. Tevet h pp. 851, 853. I also forgot to add that quoting from Israel’s declaration of independence is useless. It was not incorporated into Israeli law unlike a host of overtly racist legislation that we have seen in the past few years (for example Access to Communities Act 2013). Mikey Ezra admits now that Kasztner collaborated with the Nazis but pretends that he betrayed Hungary’s Zionists! He is singing from a different song sheet than that which he used to use. To cite some examples from a debate on Socialist Unity: Perhaps he would be so kind as to tell us what or who it was that convinced him that he had been supporting a collaborator with the Nazis? Greenstein repeatedly refers to his so-called anti-fascist work. But he ignores the fact that there were those in the movement that despised him. In 1986, NUS President Vicky Phillips spoke at the UJS conference. She was asked about Tony Greenstein and replied that his involvement in Anti-Fascist Action “brings the whole organisation into disrepute.” She urged delegates to write to AFA expressing concern. (Jewish Chronicle, December 26, 1986). Greenstein also has a geography problem. He states, as an example.”. I identify, unlike all others here, with the people of Palestine and Gaza.” Greenstein clearly thinks that Gaza is somewhere else. And Ilan Pappe? He is a laughing stock. Nobody with credibility takes him seriously academically. And nor does anyone with credibility take Lenni Brenner seriously, despite the fact that that Greenstein would wish they did. There’s nothing wrong with being wrong but Ezra defended Kasztner with all the vehemence that he defends Zionism’s record in general. He accused me and others of the same sins of historical ignorance that he now confesses he was guilty of. You don’t need to go to Israeli archives to know that Kasztner was a collaborator, just read Ben Hecht’s Perfidy (a Zionist) or indeed Randolph Braham’s Politics of Genocide and draw your own conclusions. Kasztner was a representative of the Jewish Agency, the Jewish govt in waiting. He toured Europe post-1945 giving testimony for a variety of Nazi war criminals including Herman Krumey, Eichmann’s second-in-command in Hungary who was responsible for the round-up of Croation Jews and the deportation of over 100 children from Lidice to Lodz. When the Americans arrested Krumey in 1945 in Italy it was Kasztner’s specific intervention that got him released rather than executed. He even tried to save the neck (and failed) of Dieter Wisliceny, who organised the first deportation of Jews from Slovakia to Auschwitz and Maidenek. Ezra defended these and at least 5 other such testimonies. Does he recant his support for Kasztner and the Jewish Agency’s campaign to exonerate leading Nazis at Nuremburg. Kasztner was supported by the State of Israel and its Attorney General Haim Cohen in his prosecution of Malchiel Greenwald, an elderly Hungarian Jew, in Israel, for defamation. The evidence was in abundance but like one of the Soviet puppets he descries Ezra decided to defend Kasztner come what may until Paul Bogdanor told him that he was suspect. Apparently, Kasztner’s behaviour ‘is not evidence that “Zionism collaborated with the Nazis.’ Apparently he only ‘notionally’ belonged to a Zionist party. How interesting. Most people hold him to have been the leader of Hungarian Zionism, a minority (Ihud) within a minority. There is, with Krausz’s exception, which I have often quoted, no sign that there was widespread disapproval within the Hungarian Zionist movement of the train he organised to rescue 1,600 leading Zionists and bourgeois elements whilst keeping the rest of the 450,000 Jews ignorant of their fate. The evidence was there, Ezra chose to ignore it. Quoting Francis Nicosia is useless. His evidence is invaluable, his conclusions less so. He is scared of drawing the obvious conclusions, viz. that Zionism was a movement of collaboration and he engages in verbal gymnastics. But contrary to Ezra’s claim I often cite Nicosia. I also cite the official biographer/hagiographer of David Ben-Gurion, Shabtai Teveth, that ‘If there was a line in Ben Gurion’s mind between the beneficial disaster and an all-destroying catastrophe, it must have been a very fine one.’ [Shabtai Teveth: The Burning Ground, 1987, 850]. The chapter from which this is taken, Disaster Means Strength, tells us everything we need to know about the attitude of the Jewish Agency leaders during the holocaust. Lenni Brenner is a very excellent polemical historian and his book, Zionism in the Age of the Dictators, remains unanswered to this day. But regardless, I do have criticisms of his analysis and they will appear in the forthcoming issue of the Journal of Holy Land Studies. 1. Having discussed the Kasztner issue regularly with Michael Ezra over about 10 years, I can testify that he changed his mind on the subject before I did (and for different reasons). 3. In his initial affidavit for the Allied war crimes investigators in September 1945, Kasztner identified Becher, Wisliceny and the rest as Nazi war criminals. It was only later that he started to praise them as rescuers. So these later affidavits, taken alone, do not prove Kasztner’s wartime collaboration. Nor is there any good evidence (in Shoshana Barri’s article or elsewhere) that Kasztner’s affidavits praising Nazi war criminals were submitted on the Jewish Agency’s instructions. Does Greenstein expect his arguments to be taken seriously when he relies on such “evidence”? · In his response to my criticism of his fellow Zionist traducer, Michael Ezra, Paul Bogdanor demonstrates why he is a propagandist for whom the historical method of weighing up evidence is alien. There is an absolute abundance of evidence that the Zionist movement, in particular its leadership, collaborated with the Nazis and prioritised building their ‘Jewish’ state at the expense of rescuing Jews. Even honest and open Zionists accept that the historical record of Zionism is flawed but not so Bogdanor who will go to the grave denying the obvious. On 23rd November the Jewish Agency had been forced to release the cable of Gerhard Riegner in Geneva that the holocaust was underway (they had had possession of this cable but deferred to the wishes of Welles of the US State Department to keep quiet) but barely a month later, on December 27, 1942, the Yishuv was informed that the mass destruction of Polish Jewry had ceased. This news was contained in a statement issued on behalf of the Rescue Committee by Yitzhak Ben-Zvi, chairman of the National Council. The whole statement was couched in a tone of concern and alarm. It spoke about mass murders at Belzec and Treblinka. It expressed apprehension that half of Polish Jewry had already been annihilated. But at the same time, it was stated explicitly that the mass destruction had been halted. Davar 27.12.42. Even Walter Lacquer, as dedicated a Zionist as any, admitted that ‘Zionists, including leaders of the World Jewish Congress, were absorbed in ‘post-war planning’ and were paying little more than ceremonious attention to what was happening in Europe in stark contrast to the outcries from Geneva and Istanbul demanding immediate action to save the remnants.’ Walter Lacquer, p.194, The Terrible Secret, p.65, Little, Brown & Company, Boston, 1980 citing Y Bauer, The Holocaust in Historical Perspective (Seattle, 1978), p.28. But to Bogdanor, the loyal Zionist propagandist, nothing the Zionist movement did was wrong. He can hear, speak nor see any evil. He understands nothing and attacks all critics, on the flimsiest of grounds. Frankly it doesn’t matter one jot whether it was he or Ezra who first changed their minds. What I do know is that Ezra defended every action of Kasztner including testifying on behalf of the Nazi war criminals. Benjamin Halevi was an uber-Zionist. He made findings of fact regarding Kasztner’s behaviour, much to the squeals of the Labour Zionists but he was a supporter of the Zionist right-wing and of course he sought to exonerate Zionism as a whole. The point is whether someone like myself, an impartial outsider, should go along with this. Again Bogdanor is not in such a position. Halevi is wrong to suggest that the Zionists ‘were able to supply the leadership for resistance and anti-Nazi operations.”. On the contrary, everywhere there were collaborators, leaders of the Jewish police, Judenrat Chairman, there were Zionists. As Isaiah Trunk, a committed Zionist wrote, 67.1% of members of the Judenrat were Zionists. Over two-thirds of the Judenräte (67.1%) consisted of Zionist supporters of all factions. . [Judenrat: the Jewish councils in eastern Europe under Nazi occupation, New York 1972, p.32.]. Yes in his initial affidavit for the US war crime investigators, Kasztner labelled Kurt Becher, Wisliceny et al. as war criminals. So the question any serious historian would ask is blindingly obvious (but not to Bogdanor). What made him change his mind? Bogdanor writes that there is no ‘good evidence (in Shoshana Barri’s article or elsewhere) that Kasztner’s affidavits praising Nazi war criminals were submitted on the Jewish Agency’s instructions.’ To Bogdanor there is no evidence which is good enough (unless he agrees with it!). I will paraphrase and cite, in some detail, what Barri actually says in order that others can make a judgement. ‘Kasztner testified repeatedly on behalf of Nazi war criminals through to his final testimony at Nuremberg in May 1948. The most well known testimony was given on behalf of Becher in August 1947. … In May 1948, a statement given by Kasztner at Nuremberg stated that Krumey “performed his tasks displaying remarkable good will towards those whose life or death depended to a great extent upon the way.” This was the person who personally implemented the murder of 437,000 Jews in the final solution in Hungary. A memorandum of July 1947 indicates that Kasztner appealed to have Wisliceny transferred from Slovak to American custody. The Jewish Agency knew about this too…. Kasztner felt that a plot was brewing against him from within his own movement, and accused Eliahu Dobkin of the JAE of being part of it. In December 1945, Kasztner wrote Dobkin a furious letter. Kasztner had been fearful of even coming to Palestine. He first arrived (after the initial testimonies in Geneva and Nuremberg) in December 1947. He left two months later at the request of the American prosecution at Nuremberg, and returned to Palestine in May 1948. When asked about his testimony on Becher’s behalf, Kasztner claimed that he had been permitted to testify by Dobkin, who represented the Jewish Agency in Istanbul and Chaim Barlas, a member of Mossad. However, when Dobkin was called to the witness stand, he denied ever having heard Becher’s name. The question was asked whether Dobkin had approved Kasztner’s testimonies. The question was not asked, however, with regard to the other people mentioned by Kasztner: Barlas, Riegner and Perlzweig. … No document has come to light to indicate that Barlas gave Kasztner authorisation to testify. It is interesting to note, however, that a letter was written to the Rescue Committee in Budapest during the war (August 1944) from Istanbul, where Barlas was stationed. (August 1944) from Istanbul, instructing the Committee to offer the Germans “money and only money for certain purposes” Chaim Barlas was responsible for Aliya Bet, whose purpose was to defy the British, secure the entry of Zionist refugees and their use as manpower in the war of 1947-9. Gideon Raphael confirmed [to Ha’aretz] that Dobkin had in fact known Becher’s name. According to Raphael, Kasztner informed Dobkin and Raphael himself that he was going to be testifying on behalf of Wisliceny, Becher and Krumey, and Dobkin and Raphael expressed their opposition. According to Raphael, in other words, not only had Dobkin heard Becher’s name, but both he and Raphael in fact had prior knowledge of Kasztner’s intention to testify on Becher’s behalf. Barri suggests that the Jewish Agency denied all knowledge of the testimony Kasztner gave at Nuremberg, because at the time it was easier to do so. ‘Testimony on behalf of Becher was not given in a political vacuum…. It was rather the result of his connections as a representative of Jewish organizations in the negotiations for obtaining the “Becher deposit.”  This deposit, which consisted of large amounts of the wealth of Hungarian Jewry, disappeared. So Bogdanor’s assertion that there is no good evidence in Barri’s article or elsewhere that the Jewish Agency had approved, including financing Kasztner’s expedition in Europe, just don’t stand up. In his silliest point, I am told that people like Bogdanor don’t find my writings persuasive because I make Eichmann’s interview with Life Magazine the ‘centrepiece of my case. In fact I rarely quote them but what if I did? Rudolph Hoess, Commandant of Auschwitz’s book, is often cited by historians, usually critically. Even Francis Nicosia, who Ezra cites, in this Third Reich and the Palestine Question cites Hitler’s Mein Kampf! Most historians cite the Nazis and in fact Eichmann’s interview is extremely useful. The questioner notes that holocaust denial sites have removed references to it, citing it as a forgery. The response? Not surprising. It’s no surprise that the holocaust deniers and Bogdanor line up in unison either. The Nizkor Project is an ambitious programme to document the Holocaust in response to the holocaust deniers. It reprints the whole of Eichmann’s interview. Clearly Bogdanor is desperate if he attacks my use of this among many other sources (and not that in the original post I did not mention even my ‘centrepiece’! As I noted about, even Ben Gurion’s hagiographer/biographer Shabitai Teveth concludes that Ben Gurion’s attitude to the holocaust was that it was a beneficial opportuhity. Not so the devoted Bogdanor whose lack of any criticism of Zionism’s record during the holocaust marks him down as a cheap propagandist. · Tony Greenstein’s tediously long-winded response is as comical as expected. I must admit that I laughed long and hard when I reached Greenstein’s self-description as “an impartial outsider.” Greenstein, is, of course, a self-declared Marxist-Leninist, allegedly of the Trotskyist variety, although in the case of the Holocaust he relentlessly regurgitates the Stalinist hate propaganda against Zionism. 2. Greenstein’s statistics about Zionists in the Jewish Councils are irrelevant, as many – possibly most – of the Jewish Councils did not collaborate and did their best to help the Jews for whom they were responsible. Arendt’s claims to the contrary, which Greenstein has always repeated as gospel truth, are rejected by the historical profession, including Greenstein’s source Trunk. Likewise, Greenstein’s claims about German Zionists are contradicted by his own source, the historian Nicosia. But then Greenstein has never worried about contradicting his sources. In the past he has even claimed Zionist inspiration for the introduction to the Nuremberg Laws, citing a passage from Nicosia stating nothing of the kind. 3. Turning to Kasztner – the sole subject of my comments – Greenstein now dismisses as an “uber-Zionist” the judge Halevi, who famously condemned Kasztner for selling his soul to the Devil. And in doing so, Greenstein refutes his own fantasy that Kasztner’s behaviour was somehow representative of Zionism. For if Kasztner was acting on behalf of the Zionists, then why did a Zionist court condemn him? Likewise, why did the Zionists of Kolozsvar (Cluj) try to prosecute him before a People’s Tribunal (1945)? Why was he investigated by the first post-war Zionist Congress (1946)? Why did Israel pass the Nazis and Nazi Collaborators (Punishment) Law (1950)? Why was Kasztner interrogated by the Israeli police (1951)? 4. Greenstein’s melange of quotations and paraphrase from Barri’s article backfires completely, confirming my position: the Jewish Agency gave no instructions to Kasztner to testify for Nazi war criminals. There is not one word anywhere in Greenstein’s diatribe proving Jewish Agency instructions to testify on behalf on Becher, Krumey or Juttner. The memorandum on Wisliceny’s transfer from Slovak to US custody, which may or may not have been known in advance to the Jewish Agency, contained nothing exonerating Wisliceny and merely aimed to secure information for the capture of Eichmann. I defy Greenstein to quote – clearly and succinctly – any documentary evidence in Barri’s article or anywhere else establishing that the Jewish Agency ordered Kasztner to give affidavits exonerating any Nazi war criminal. 5. Finally, Greenstein turns to defending EIchmann’s interview denying the Holocaust – and has the chutzpah to accuse his critic of acting “in unison” with those who deny the Holocaust. In this interview, which Greenstein considers “extremely useful” because Eichmann confirms his prejudices, Eichmann declared that Auschwitz “was not primarily a death camp,” that “the Auschwitzers [sic] sprouted like mushrooms out of the forest floor after a rain,” that “hundreds of thousands of them are today in the best of health,” and that “the majority of the deportees [from Hungary] were not gassed at all.” It is easy to see which of us, Bogdanor or Greenstein, is reinforcing the claims of Holocaust deniers. And the same applies to Greenstein’s endorsement of Brenner’s propaganda tract, which delighted the Holocaust deniers so much that it was reprinted by the neo-Nazi Institute for Historical Review and is today available on neo-Nazi websites. Falsifying evidence, regurgitating Stalinist hate propaganda, citing interviews by Eichmann and sources praised by Holocaust deniers: does Greenstein have no shame? · Bogdanor is incapable of dealing with any criticism without labelling it Stalinist. Thereby he hopes to remove himself from the hook of his own contradictions. Yes I thought Bogdanor would find my description of myself as an impartial outsider amusing, however a sense of humour sometimes doesn’t go amiss. The late Noah Lucas, a perceptive Zionist historian, noted that ‘As the European holocaust expanded, Ben Gurion saw it as a decisive opportunity for Zionism… Ben Gurion above all others sensed the tremendous possibilities inherent in the dynamic of the chaos and carnage in Europe… the forces unleashed by Hitler in all their horror must be harnessed to the advantage of Zionism. [Noah Lucas, The Modern History of Zionism’ pp. 187-8]. But whereas Lucas, like many Zionist historians, was capable of evaluating Zionist history critically and comparing it with the ideas formulated by Herzl, Bogdanor is a one-trick pony, slavish in his adoration of Zionist state worship. You can’t teach an old dog new tricks. What is his response to even Ben-Gurion’s biographer, Shabtai Teveth? Nothing, he has no answers. What is his response to Ben-Gurion’s opposition to refugeeism, saving Jews whatever the destination? Nothing. And when Ben-Gurion is cited by numerous sources that ‘If I knew that it would be possible to save all the children in Germany by bringing them over to England, and only half of them by transporting them to Eretz Yisrael, then I would opt for the second alternative. For we must weigh not only the life of these children, but also the history of the People of Israel’. [Yoav Gelber, Zionist Policy and the Fate of European Jewry (1939-42), Yad Vashem Studies, vol. XII, p.199]. what is Bogdanor’s response? Nothing because there cannot be one. Instead he shrieks Stalinist! Francis Nicosia isn’t my source but Ezra’s! But it was Nicosia who observed that ‘Zionism (was) a volkisch Jewish nationalist ideology and movement that started from some of the same philosophical premises as German nationalism…’ It is Nicosia who points out that Alfred Rosenberg, Hitler’s favourite theoretician (The Third Reich & Palestine p25). that “Zionism must be vigorously supported in order to encourage a significant number of German Jews to leave for Palestine or other destinations” (TRP p.25). Rosenberg was fond of citing the Zionists’ own arguments that the Jews were a separate people. Rosenberg took this as “a clear affirmation that all Jews were aliens in Germany” (Zionism And Nazi Germany p.70). “Rosenberg’s argument that the Zionist movement could be utilised to promote the political, social and cultural segregation of Jews in Germany, as well as their emigration, was eventually transformed into policy by the Hitler regime after 1933.” Nicosia was at war with his own evidence in that his conclusions conflict with the body of his writing. Let us see how Bogdanor ducks and dives rather than answer a simple question – why should the official family biographer of Ben Gurion, cite Ben-Gurion that ‘The harsher the affliction, the greater the strength of Zionism’ (Teveth 1987: 850). Does he not find this shocking, especially in the context of the holocaust? Or the statement that ‘In spite of the certainty that genocide was being carried out, the JAE did not deviate appreciably from its routine…’ (Teveth 1987 844). How about “distress” could also serve as ‘political leverage’: ‘the destruction’ was a factor in ‘expediting our enterprise [and] it is in our interest to use Hitler, [who] has not reduced our strength, for the building of our country.’ [p.850] Or is the simple truth the fact that Bogdanor’s loyalty to Zionism outweighs any concern for Zionism’s record in relation to millions of Jews who died in the holocaust? It would of course be interesting to hear Bogdanor’s views on the above, but being a historical coward he prefers to plough the same clichés. Yes the Vaad Leumi and other Zionist bodies went through ritual appeals and declarations before getting back to business. No one doubts that. But the drip, drop of poison by the Zionist press (which Bogdanor daren’t tackle) had a much more corrosive effect. They continually played down the very fact of and the extent of the holocaust and warned against ‘atrocity propaganda’ as was the case in World War I. I cited a couple of instances, there are dozens of such examples where denials of extermination were made despite refugees from Nazi occupation coming to Palestine as exchange prisoners. How does Bogdanor explain away the fact that Davar reported, from Nazi sources, that the holocaust had come to an end in December 1942? He doesn’t, it’s that simple. When faced with an insoluble quandary, he witters at length and moves on. As Shmuel Zyglebojm, one of two Bund representatives in the Polish-Government-in-exile, was doing his best to spread news of the Holocaust and despairing over the response (he committed suicide as a forlorn protest) Zionist leaders in Palestine were thinking about the advantages they would accrue as a result of the holocaust. Bogdanor is in deep water when he claims that statistics about Zionists in the Jewish Councils are irrelevant and that most of them did not collaborate and did their best to help the Jews for whom they were responsible. Trunk is not my source, he is Yad Vashem’s, as Bogdanor would know if he was acquainted with the subject. Virtually all leaders of the Judenrat were Zionists – from the Dutch Joodische Road to the Belgian AJB, whose leader Holcinger was executed by the Belgian resistance. Judenrat which did have the interests of the Jews at their heart were a distinct minority, usually located near the Soviet Partisans and forests where there was an opportunity for escape. One such was Moshkin in Minsk and there were a number of smaller ghettos where the same applied, but they were very much the minority. Bogdanor cites Hannah Arendt’s claims regarding the Judenrat. It is backed up by the most eminent of all holocaust historians, Raul Hilberg. Bogdanor by way of contrast merely parrots second rate Zionist historians. 3. Bogdanor complains that I dismiss as an “uber-Zionist” Judge Halevi. I do no such thing, I merely point out that his observations on Zionism as a whole weren’t part of the evidence so much as his own opinions. But Bogdanor has no hesitation in dismissing the evidence of SB Beit Zvi because he was (apparently) a revisionist! Tamir: When you returned to Kluj after the war, what was the general opinion there of Dr. Kasztner? Rozner: There was a violent feeling against Dr. Kasztner. If he had showed himself in the street he would have been killed…. Because he was the man who misled the Jews to believe in the good intentions of the Germans [Testimony of Mr. Levy Blum of Kluj in C.C. 124/53 in the D.C. Jerusalem]. Bogdanor asks ‘Why was he [Kasztner] investigated by the first post-war Zionist Congress (1946)? Why did Israel pass the Nazis and Nazi Collaborators (Punishment) Law (1950)? Why was Kasztner interrogated by the Israeli police (1951)? The answer is simplicity itself. Because of the allegations swirling around Kasztner the Israeli state had no alternative but to investigate him. More to the point is why they investigated and found he had no case to answer. Perhaps Bogdanor can explain? When Hannah Arendt’s reports of the Eichmann trial were published in The Observer (September 15 1963), Jacob Talmon, a professor at the Hebrew University Jerusalem attacked her for raising the issue of Zionist collaboration with the Nazis. In reply Rudolf Vrba (the Jewish hero who had escaped from Auschwitz with Alfred Wetzler) to warn Hungarian Jews of their fate, recalled how in April 1944 Oskar Neumann of the Zionist Judenrat in Slovakia was handed his report into the extermination of Jews at Auschwitz. ‘Did the Judenrat (or the Judenverrat) in Hungary tell their Jews what was awaiting them? No, they remained silent and for this silence some of their leaders – for example, Kasztner – bartered their own lives and the lives of 1,684 other “prominent” Jews directly from Eichmann.’ [yes I know Vrba mistook the Judenrat for Vaada]. After publication of Vrba’s memoirs and the Auschwitz Protocols in Hebrew in 1998, Yisrael Guttman [a senior Yad Vashem historian finally acknowledged that “Kasztner was given a copy of the report on April 29 1944” ‘together with other Jewish leaders, choosing not to disseminate the report in order not to harm the negotiations with the Nazis.”  This is the culpability of Zionism’s representative in Hungary. 4. Bogdanor claims that there is not one word anywhere in Greenstein’s diatribe proving Jewish Agency instructions to testify on behalf on Becher, Krumey or Juttner. Bogdanor challenges me to quote – clearly and succinctly – any documentary evidence in Barri’s article or anywhere else establishing that the Jewish Agency ordered Kasztner to give affidavits exonerating any Nazi war criminal. Barri writes that: ‘One can, in this context, better understand Kasztner’s motive in testifying on their behalf, whether he had received the explicit prior authorisation of the Jewish Agency, or whether such authorisation was only partial and retroactive. Kasztner acted in Nuremberg as representative of the Jewish Agency and the World Jewish Congress. He considered himself authorised to testify in their name in a matter that did not seem to him to deviate from the general framework in which he was operating.’ Bogdanor however prefers to avert his eyes. And as a last gasp of desperation, I am a ‘defender’ of Eichmann’s interview! I don’t defend interviews, I look at them, like most people for evidence. Hence I quoted the Nizkor Project and the Holocaust Project. But for Bogdanor, quoting something is ‘defending’ it. So presumably quoting any Nazi tract is to defend it! Ludicrous even by his shoddy standards. I am not sure why Greenstein continues to harp on about Kasztner when I informed him that I changed my view. To suggest I changed my view because of what Paul Bogdanor told me is a nonsense. I changed my opinion on Kasztner before Paul did. Contrary to Greenstein’s claims there was widespread criticism by Zionists of Greenstein’s actions in Hungary in 1944 and his postwar testimonies. An example is Ben hecht’s Perfidy, the author Greenstein admits is a Zionist. Then, even in the courts – in total six Israeli judges (all, to my knowledge) Zionist, looked at the Kasztner/Grunwald case. All six of them felt the attack on Kasztner for post war testifying for Nazi war criminal by Grunwald was not libellous. Moreover, while of the those six, three exonerated Kasztner from major charges, of collaboration, 2 accused him of collaboration with the Nazis and one felt that the charges had to be taken as a whole but because he(as well as the other judges) said that Grunwald’s claim that Kasztner financially benefited from Nazi plunder was unjustified. That final judge voted that Grunwald’s document as a whole was libellous. Away from that, there was substantial attacks by Menachem Begin’s Herut Party on Kasztner. (Begin, of course, went on to be the Prime Minister of Israel). In truth, the leading critics of Kasztner: Judges Halevi and Silberg, author Ben Hecht and many in Herut Party memberswere all Zionist. They came way before Lenni Brenner and Jim Allen! Greenstein has no argument against what Francis Nicosia has said. It is just that Nicosia’s conclusions, in a book published by the very reputable Cambridge University Press, are not ones with which Greenstein agrees so he simply says the conclusions are worthless. Greenstein would probably say the conclusion of Pythagoras is worthless if he didn’t agree with Pythagoras about the the length of sides in a right angled triangle. Then he accuses me of failing to respond to Shabtai Teveth, Ben-Gurion’s biographer – neglecting to mention that Teveth devoted an entire volume, Ben-Gurion and the Holocaust, to the Zionist leader’s campaign to save Jews from the Nazis. And he refers to “Ben-Gurion’s opposition to refugeeism, saving Jews whatever the destination,” when I have already quoted one of Ben-Gurion’s many calls for Jews to be brought to neutral countries and the West. He even drags out Ben-Gurion’s statement about bringing half of Germany’s Jewish children to the Land of Israel – a statement made before the Holocaust – after I had already quoted Ben-Gurion demanding the rescue of all of Europe’s Jewish children to countries other than the Land of Israel during the Holocaust. Twist and turn as he will, Greenstein cannot evade the facts: Ben-Gurion favoured the rescue of Jews no matter they were sent. Greenstein’s effort to construe Teveth’s quotations of Ben-Gurion in the worst possible light cannot be taken seriously. Of course the harshness of the affliction strengthened Zionism, because it showed that the Zionist diagnosis and remedy for antisemitism were the correct ones. But then it is typical of Greenstein to interpret a statement to mean the opposite of what the speaker had in mind, just as it is characteristic of him to fabricate statements not in his sources – such as his previous concoction, purportedly based on Nicosia, about Zionist inspiration for the Nuremberg Laws. As for Greenstein’s hopeless attempt to cast Nazi ideologue Alfred Rosenberg as a supporter of Zionism, this is what Rosenberg actually had to say on the subject: “Some of the locusts which have been sucking the marrow of Europe are returning to the promised land and are already looking for greener pastures… Zionism… helps ambitious speculators as a new field in which to practice usury on a worldwide scale.” (Rosenberg, Der staatsfeindliche Zionismus, Hamburg, 1922, pp. 62-3) Rosenberg went on to demand the legal prohibition of Zionism in Germany and the prosecution of all Zionists for high treason. Once again Greenstein has been caught red-handed falsifying his facts. Greenstein is forced to retract his previous “evidence” that Zionists did not give any publicity to the Final Solution. Instead he now claims that they “played down the very fact of and the extent of the holocaust” – when it was the Zionists who were at the forefront of all attempts to lobby for rescue. Who set up the rescue committees in Palestine and Turkey? Who set up the Joint Emergency Committee for European Jewish Affairs in the US? Who set up the Emergency Committee for the Rescue of European Jewry? Who prepared and translated the Vrba-Wetzler report? Who smuggled it out to the West? Who were among the first to demand the bombing of Auschwitz? In all cases, the Zionists. And what did Greenstein’s Trotskyists ever say or do for the Jews of Europe – other than opposing the Allied war effort against Nazism? On the Jewish Councils, Greenstein once again concedes defeat while crowing about victory. He has no evidence that the majority of Jewish Councils collaborated. 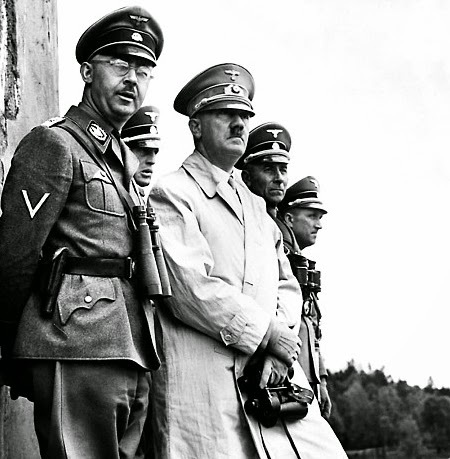 While some members did, others warned the Jews in advance of Nazi actions while still others resigned rather than obey Nazi orders, were removed for the same reason, or committed suicide. But Greenstein already knows this. 1. Having dismissed Halevi as an “uber-Zionist,” he now denies ever using the term. I encourage readers to check Greenstein’s previous post, in which he did dismiss Halevi in precisely these words. And Halevi’s observations on Zionism were factual conclusions, not opinions as he claims: one of Halevi’s key findings was that the Zionist leaders had urged Europe’s Jews, including those in Hungary, to prepare resistance to the Nazis. Finally there is Greenstein’s attempt to wriggle out of his reliance on a Holocaust denial source, Eichmann’s interview in Life magazine. Greenstein calls the interview “extremely useful” even though Eichmann denied that Auschwitz was a death camp and that Hungary’s Jews had been gassed. For Greenstein, any source furthering his hate campaign against Zionism will do – even if it is Eichmann himself, even if it is a denial of the Holocaust, even if it says the opposite of what he claims. One could hardly sink any lower; but then all this is only to be expected from one whose political movement opposed the war against Nazism. · I have posted a full response to the lies, deceptions and misattributions of Ezra and in particular Bogdanor, a vicious anti-Communist whose political position places him on the fascist map. Any further response from these 2 clowns will be ignored. 1. Yet again more lies and deception, smoke and mirrors. But Mikey is too modest. It was he who posted the following on David Aaronovitch’s blog. ‘At the beginning of July, an item was posted on my weblog which stated that Tony Greenstein had been ‘intimidating or harassing’ Jews at NUS conferences for 30 years. Tony Greenstein believed that this accused him of committing an offence of incitement to racial hatred under s.3A of the Race Relations Act 1976 and that it also implied that he is anti-Semitic. 3. In fact if anyone is a collaborator with open anti-Semites it is Mikey himself! One of my most vehement enemies is Gilad Atzmon, the anti-Semitic jazzman. None of this prevented Mikey acting as his researcher into my background. ‘Mikey, can you provide us with the criminal record of this Bugger-Rance. Is he on spent conviction like greenie l or is he just an ordinary liar? I have been very busy digging up stuff on Tony Greenstein – Roland Rance will have to wait for another day. ‘Mikey, I hope you do not mind me saying that, but your contribution for the pls solidarity movement is priceless. It is crucial that we all know about the racist record of this Greenpiss, a man who was banned time after time for being a racist and an anti Semite! 6. Mikey is not sure why I continue ‘to harp on about Kasztner’ when he has already admitted to changing his view. There is a simple reason. The dogmatic boastfulness and sense of righteousness he displayed when defending Kasztner is now displayed when he accepts that he was previously wrong. ‘ even in the courts – in total six Israeli judges (all, to my knowledge) Zionist, looked at the Kasztner/Grunwald case. All six of them felt the attack on Kasztner for post war testifying for Nazi war criminal by Grunwald was not libellous. Moreover, while of the those six, three exonerated Kasztner from major charges, of collaboration, 2 accused him of collaboration with the Nazis and one felt that the charges had to be taken as a whole but because he(as well as the other judges) said that Grunwald’s claim that Kasztner financially benefited from Nazi plunder was unjustified. That final judge voted that Grunwald’s document as a whole was libellous. 5. Greenstein states that in the Supreme Court verdict of the Kasztner trial. “2 of the 5 judges found the arguments of Kasztner’s opponents quite persuasive, but the other 3 Judges found for the State.” In fact, 4 out of the 5 judges voted to overturn the charge that Kastzner was a collaborator. I have told him this numerous times. This ‘rebuttal’ is an example of Mikey’s dishonesty. I repeatedly pointed out that the decision of the Supreme Court by 4-1 to overturn charges of collaboration were deceptive, as one of the judges, Goiten, had voted thus on narrow legal grounds. Now Mikey adopts my argument (without of course admitting as such!). 8. Mikey’s argument deliberately conflates individual Zionists, including dissident Zionists like Peter Bergson, Shmuel Merlin and Ben Hecht of the Emergency Committee to Save Jewry. I have never said that individual Zionists did not take part in Resistance activities. People like Mordechai Anielwicz, Commander of ZOB, the Jewish Fighting Organisation in Warsaw. But these opponents of the Nazis were themselves abandoned by the Zionist movement and the major debate over saving Jews in the Jewish Agency Executive concerned the saving of the Zionist cadre in Europe. ‘4. The lower court’s verdict against Kasztner – regarded by many as a…. a political VENDETTA by the judge – was posthumously overturned by the Supreme Court. Now Judge Benjamin Halevi is a good Zionist! You couldn’t make it up. 12. Bogdanor’s only distinguishing difference from Mikey is his vicious anti-Communism. Unlike his cautious and restrained father, Vernon, the Oxford constitutional historian, his son believes that shouting at the top of his voice is persuasive. Zionism, like Nazism, is noteworthy for a slavish nationalist worship of the State. Trotskyism (of which I’m not an adherent!) rejects nationalism but believes, along with many socialists, that the state is necessary to introduce socialist measures of equality, non-discrimination etc. Bogdanor clearly doesn’t understand the two different attitudes towards the state. 13. A good example is Bogdanor’s citing of Shabtai Teveth’s Ben-Gurion and the Holocaust. As if Teveth’s acid comments in The Burning Ground 1886-1948 can be dismissed. Although nominally anti-Stalinist Bogdanor’s approach to history is identical. An explanation for this apparent contradiction is contained in that fine work on Israelis and the Holocaust ‘The Seventh Million’ by Israeli journalist and historian, Tom Segev, who notes that: ‘Shabtai Teveth, Ben-Gurion’s biographer, made a great effort to put this statement in a different light. Two years previously, Ben-Gurion had said the opposite and he was in the habit of phrasing his positions with gross overstatement, the loyal biographer explained.’ (fn. p. 28). Bogdanor dismisses Ben-Gurion’s statement about bringing half of Germany’s Jewish children to Palestine because it was made before the Holocaust. What is more important is the apparent demand for the rescue of Europe’s Jewish children to countries other than the Land of Israel during the Holocaust. Apparently I cannot evade the facts because Ben-Gurion favoured the rescue of Jews no matter they were sent. He even dismisses Ben-Gurion’s opposition to refugeeism, saving Jews whatever the destination because Ben-Gurion also called for Jews to be brought to neutral countries and the West. Even Nahum Goldmann, Chair of the World Jewish Congress, later admitted that ‘we didn’t go beyond routine petitions and requests. I received a cable from the Warsaw Ghetto asking why the Jewish leaders in the US hadn’t resolved to hold a day and night vigil on the steps of the White House until the President decided to give the order to bomb the extermination camps or the death trains. We refrained from doing this because most of the Jewish leadership was then of the opinion that we mustn’t disturb the war efforts of the Free World against the Nazis with stormy protests. [‘Jewish Heroism in Siege, In the Diaspora, Winter 1963. Also Davar 22.4.64]. But it is these routine protests that Bogdanor summons in defence of Zionism! So it turns out that when Ben-Gurion made his statement about rescuing only half of Germany’s Jews if it was to England, he was fully aware of the fate that the Nazis intended for Germany’s Jews. ‘are we again, in moments of desperation, going to confuse Zionism with refugeeism, which is likely to defeat Zionism … Zionism is not a refugee movement. It is not a product of the Second World War, nor of the first. Were there no displaced Jews in Europe … Zionism would still be an imperative necessity.”[49th annual convention of Zionist Organisation of America, New York Times, October 27 1946. Eliezer Livneh declared during a symposium organised by Maariv in 1966 that “For the Zionist leadership, the rescue of Jews was not an aim in itself, but only a means” (Communist Party of Israel, Information Bulletin, 1969, p.l97)]. Ben-Gurion made it clear that ‘In these terrible days … I am still more worried about the elections of the (Mapai) branch in Tel Aviv’ (Segev 105). Ben-Gurion made his position crystal clear. In a letter (December 17 1938) to the Jewish Agency Executive Ben-Gurion explained that “if the Jews are faced with a choice between the refugee problem and rescuing Jews from concentration camps on the one hand, and aid for the national museum in Palestine on the other, the Jewish sense of pity will prevail and our people’s entire strength will be directed at aid for the refugees in the various countries. Zionism will vanish from the agenda and “¦ also from Jewish public opinion. We are risking Zionism’s very existence if we allow the refugee problem to be separated from the Palestine problem.” Y. Elam, Introduction to Zionist history, Tel Aviv 1972, pp125-26. See also Ot, paper of youth cadre of Mapai, No.2, winter 1967. I have given a sample of Ben-Gurion’s real position towards rescue, but he wasn’t alone. It wasn’t just Ben-Gurion’s position. Robert Silverberg, a devoted Zionist, described how ‘Within the Zionist movement itself there were actually some ultramilitants who argued that it was a good strategy to make no attempt to liberalize the United States immigration laws.’ They were ‘virtually fanatics, to whom the building of a Jewish homeland in Palestine took priority over all other claims, even the claim of saving lives.’ [Robert Silverberg, If I Forget Thee O Jerusalem, p. 138, Pyramid Book, New York, 1972]. I am happy that our movement has finally veered around to the point where we are all, or nearly all, talking about a Jewish state.. But I ask… are we again, in moments of desperation going to confuse Zionism with refugeeism which is likely to defeat Zionism… Zionism is not a refugee movement. It is not a product of the Second World War, nor of the first. Were there no displaced Jews in Europe… Zionism would still be an imperative necessity.” [Rabbi Hillel Silver to 49th Annual Convention of the ZO of America, New York Times, 27. 10. 1946]. Eliezer Livneh declared during a symposium organised by ‘Maariv’ in 1966 “that for the Zionist leadership, the rescue of Jews was not an aim in itself, but only a means.” (Information Bulletin, Communist Party of Israel, 1969, p.197). Cited in Robert Silverberg, If I Forget Thee O Jerusalem, p. 335. Pyramid Book, New York, 1972]. ‘It is Nicosia [note not me] who points out that Alfred Rosenberg, Hitler’s favourite theoretician (The Third Reich & Palestine p25) who wrote that “Zionism must be vigorously supported in order to encourage a significant number of German Jews to leave for Palestine or other destinations” (TRP p.25). Rosenberg was fond of citing the Zionists’ own arguments that the Jews were a separate people. Rosenberg took this as “a clear affirmation that all Jews were aliens in Germany” (Zionism and Nazi Germany p.70). “Rosenberg’s argument that the Zionist movement could be utilised to promote the political, social and cultural segregation of Jews in Germany, as well as their emigration, was eventually transformed into policy by the Hitler regime after 1933.” This was written in 1920 in Die Spur. Even the most ignorant fool can see that I am quoting Nicosia, who Ezra initially introduced to the debate NOT me. What is the explanation of the apparent discrepancy between what I quoted and Bogdanor cited? Such a complex argument, to say nothing of subtlety is completely beyond Bogdanor. In fact there is no contradiction. If he had actually read what Nicosia actually wrote Bogdanor would see that Rosenberg calls for using and taking advantage of what Zionism says about Jews being a separate volk/people whose place is in Palestine in order to deprive them of their legitimate rights in Germany. But at the same time he, along with Hitler it should be said, were no supporters of the idea of a Jewish state per se (although this too mellowed with power). Palestine was considered simply as a State whose purpose was to centralise the swindling of non-Jews. ‘Those who regard the Jews as a foreign race… must honour the fact that among the Jews themselves the nationalist movement called Zionism is gaining more and more adherents. One must take one’s hat off to the Zionists, they admit – openly and honestly- that their people are a folk of its own kind whose basic characteristics are immutable.. They also declare openly that a true assimilation of the Jewish aliens to the host nations would be impossible according to the natural laws of race… THE ZIONISTS CONFIRM WHAT THE ENEMIES OF THE JEWS, THE ADHERENTS OF THE RACIAL THEORY HAVE ALWAYS ASSERTED… German and Jewish nationalists are of one opinion in regard to the indestructibility of the Jewish race. [If I Were the Kaiser’, 1912. D. Frymann (pseudonym)]. Bogdanor asks who set up the rescue committees in Palestine and Turkey? But the ‘rescue committee’ in Palestine was a useless body – without a full-time Chair, no budget or even office whose purpose it seems was ward of demands to engage in Rescue activities. Beit Zvi wrote that ‘Melech Neustadt, in an Executive Committee meeting of May 1943, complained that “because of the heavy burden of work imposed on the key people, this matter [the rescue activity] does not come up for serious discussion or serious action.” [p.99] In December 1942 Yitzhak Gruenbaum was installed as chairman of the Zionist “Rescue Committee’ . entity devoid of any organizational base, and lacking its own bureaucratic machinery and budget. For a long time it lacked even an official permanent name. As for the Istanbul Committee it was more a liaison office. Bogdanor asks who set up the Emergency Committee for the Rescue of European Jewry? We know it was the small group around Peter Bergson, the dissident revisionists. But they did it in the teeth of opposition of the mainstream Zionist movement and Stephen Wise and Nahum Goldmann. ‘“In one of their meetings with Mr Pehle, [of the State Department] Rabbi Wise had gone so far as to inform. Pehle that he regarded Bergson as equally as great enemy of the Jews as Hitler.” [Department of State Memorandum of Conversation, 19th May 1944 cited in Lenni Brenner, 51 Documents – Zionist Collaboration with the Nazis’ pp. 197-200, Barricade Books 2002]. This conversation was held just 4 days after the deportation of Hungarian Jews started. Bogdanor, like Ezra, is incapable of understanding the distinction I make between Zionists AS INDIVIDUALS and the Zionist movement. Bogdanor asks who prepared and translated the Vrba-Wetzler report? Yes it was the Slovakian Jewish Council. No one has suggested that they wished to see the deaths of their fellow Slovakian Jews, even if their methods led to a far greater number of Jewish fatalities. Bogdanor asks ‘Who smuggled it [the Auschwitz Protocols] out to the West? Well it certainly wasn’t the leader of Hungarian Zionism, Kasztner, received it on April 29th, over 2 weeks before the deportations of Hungarian Jews began and sat on it. In fact it was a variety of people. The only Zionist who did so was the dissident Moshe Krausz. The Vatican, the Czech underground, Ernest Peto of the Hungarian Judenrat to name but a few and of course Rabbi Weissmandel. Nathan Schwalb, of HeHalutz in Geneva, also deliberately sat on the Auschwitz Protocols in order not to hinder Kasztner’s negotiations with Eichmann. Bogdanor’s question what did the Trotskyists do for the Jews of Europe. They opposed the Nazis at the level of the working-class and some, like Abram Leon, ended up dying in Auschwitz. Others like Ernest Mandel, led the Resistance. They certainly didn’t collaborate. Bogdanor suggests that I ‘concedes defeat’ re the Jewish Councils. Again this is a lie or wishful thinking or both. Apparently I have ‘no evidence that the majority of Jewish Councils collaborated. In fact there is an abundance of evidence. What Bogdanor means is that he is ignorant about it. The Judenräte were reviled by the Jewish population and with good reason. “the most important concentration measure prior to the formation of the ghettos was the establishment of Jewish councils (Judenräte).” The most authoritative holocaust historian, Raul Hilberg, wrote that ‘”the most important concentration measure prior to the formation of the ghettos was the establishment of Jewish councils.” [R. Hilberg, The destruction of European Jews, New York 1985, p.75].  Eichmann commented that: “The assimilated Jew was, of course, very unhappy about being moved to a ghetto. But the orthodox were pleased with the arrangement, as were the Zionists.” [L. Brenner, 51 documents, New Jersey 2002, p.274.] The Nazis insisted that “the authority of the Jewish council be upheld and strengthened under all circumstances” [R. Hilberg, p.1111 citing Mohns (Deputy Chief of resettlement division, Warsaw District) to Leist (Plenipotentiary for the City of Warsaw) 11.1.41. Yad Vashem microfilm JM-1113]. Bogdanor suggests that I he now denies ever using the term, “uber-Zionist”. I do no such thing, rather I denied that I had dismissed Halevi on these grounds. I merely stated that his views on Zionist participation in Resistance owed more to his personal political opinions as a Zionist than any evidence in the Kasztner trial. I stand by this but I certainly don’t ‘dismiss him’. Bogdanor is incapable of understanding such subtleties. Other equally stupid points by Bogdanor are that David Rosner, who gave evidence against Kasztner, was a Zionist. So what? I repeat, since Bogdanor clearly hasn’t understood first time around that there is no document to that effect, but one wouldn’t expect there to be anymore than there was a written Hitler order to begin the Holocaust. However the accumulation of evidence suggests that Kasztner was authorised by the Jewish Agency. Kasztner even received the major part of his expenses from the Jewish Agency, so clearly they must have been aware of what Kasztner was doing. So Bogdanor’s assertion that there is no good evidence in Barri’s article or elsewhere that the Jewish Agency had approved just doesn’t stand up. But not being a historian Bogdanor still probably doesn’t understand. Finally Bogdanor accuses me of trying to ‘wriggle out of’ my reliance on Eichmann’s denial of the Holocaust. But the point is, as I’ve already said, is that Eichmann doesn’t deny, indeed he boasts of the holocaust. Which is one reason why like Bogdanor, holocaust deniers don’t use the interview and the Nizkor Project does. (i) Greenstein quotes Gerhard Riegner (“Auschwitz ‘was an important political asset. Among other things, it served the diplomatic efforts of both the WJC and Israel.’”) I checked his reference, which Greenstein places in quotation marks, and in fact it is not a comment by Riegner but Segev’s paraphrase of Riegner’s alleged statements in an unverifiable private interview, and is therefore useless as evidence. Greenstein recasts as a quotation what is actually nothing of the kind. (ii) Greenstein twice adduces a quotation (“are we again, in moments of desperation, going to confuse Zionism with refugeeism, which is likely to defeat Zionism…”) from the “49th annual convention of Zionist Organisation of America, New York Times, October 27 1946.” There is no such quotation anywhere in the NYT report on that date. The Greenstein “quotation” is simply a fabrication. (iii) Greenstein offers us a quotation from Eliezer Livneh (“For the Zionist leadership, the rescue of Jews was not an aim in itself, but only a means”); his source is the “Information Bulletin” of the Communist Party of Israel. Not only is the source worthless, the very fact that Greenstein would cite it vindicates my claim that Greenstein merely parrots Stalinist hate propaganda. (iv) Greenstein purports to quote from Teveth’s biography (“In spite of the certainty that genocide was being carried out, the JAE did not deviate appreciably from its routine…”) Checking his page reference, the words placed in quotation marks by Greenstein simply do not appear. What Teveth does say there is that “Ben-Gurion, ignorant of the death camps, spoke only of concentration camps… His lack of knowledge illustrates the tragic impotence of the Jewish people and their leaders… They were victims of the diversionary tactics and deceptions of the Nazis and the withholding of the truth by the British…” (Ben-Gurion: The Burning Ground, 1886-1948, Houghton Mifflin, 1987, p. 844). (v) Greenstein quotes liberally from Teveth to prove that Ben-Gurion opposed forms of rescue other than Zionism, but on one of the very pages he cites, Teveth quotes Ben-Gurion as follows: “Were there a possibility of transferring Polish Jewry to America or Argentina we would have done so, regardless of our Zionist ideology. But the whole world is closed to us. Had we not room in Palestine, our people would have no choice but suicide.” (Ben-Gurion: The Burning Ground, 1886-1948, p. 855). , Owl Books, 2000, p. 97). So much for Zionists “revelling” in the murder of Europe’s Jews. That Greenstein is a pathological dissembler is shown by the very sources he mentions, sometimes by material appearing on the very same page he cites. Greenstein simply cannot be trusted to give an accurate quotation or an unfalsified source. His methods of distortion are worthy of a Noam Chomsky or a David Irving. None of his “evidence” can be believed. Some of Greenstein’s falsehoods are the result not of dishonesty but of rank ignorance. Thus, by Zionist rescue committees in Palestine and Turkey, Greenstein takes me to be referring to the ineffectual entity led by Gruenbaum. But Tuvia Friling has long since demonstrated, in his 2-volume study Arrows in the Dark: David Ben-Gurion, the Yishuv Leadership and Rescue Attempts During the Holocaust (University of Wisconsin Press, 2005), that in addition to Gruenbaum’s public committee, Ben-Gurion established a parallel and covert rescue operation that did the real work in saving Jews from the Nazis. Greenstein does not mention this evidence because he is simply ignorant of its existence. Compare these facts with Greenstein’s claims that the Zionists “revelled” in the extermination of Europe’s Jews. On the Jewish Councils, Greenstein produces another set of quotations, none of which prove his claim that the Jewish Councils invariably collaborated. The Councils were indeed set up by the Nazis to control Jewish communities, but many of them refused to obey orders, and some members, notably Czerniakow in Warsaw, committed suicide rather than assist in deportations. Greenstein, his bluster aside, cannot prove any of his claims. But once again I draw attention to his standards of proof: quotations from Eichmann and Wilsiceny, the chief exterminators, whom he treats as unimpeachable truth-tellers. On Kasztner, Greenstein has now admitted that he uses Zionist sources – Halevi, Rosner, Krausz – and so it was the Zionists who condemned Kasztner. This means that Kasztner’s conduct in Hungary was not representative of Zionism. To repeat: it was the Zionists of Kolozsvar/Cluj who tried to prosecute him before a People’s Tribunal (1945), the first post-war Zionist Congress that held a formal investigation of him (1946), the State of Israel that passed the Nazis and Nazi Collaborators (Punishment) Law (1950), and the Israeli police who interrogated him (1951). After what must have been another desperate search, Greenstein is still unable to produce any evidence that Kasztner’s aid to Nazi war criminals at Nuremberg was ordered or approved by the Jewish Agency. He even has the gall to admit it, while complaining that nothing was written down – just as Hitler gave no written order to initiate the Holocaust! This may convince those who share Greenstein’s fantasies of Zionist mimicry of Nazis, but it will not satisfy anyone else. And Greenstein is clutching at straws, for not only is there no evidence of Jewish Agency authorisation, there is documentary evidence – from Riegner (quoted by Barri and in my previous post) – that the Zionists did not authorise Kasztner to help Nazi war criminals. In his latest post, Greenstein not only relies upon Eichmann’s Holocaust-denying interview with Life magazine, he also quotes Eichmann’s assistant Wisliceny to the effect that the Holocaust was perpetrated by Jews. I had hoped that he could not sink any lower than his previous messages, but I was wrong: Greenstein has confounded my expectations yet again. · Tony Greenstein, Marxist-Leninist, is a champion of utilising and threatening to utilise the bourgeois courts. An apology and a payment to a charity of £1,000 from someone that he threatened to sue is not necessarily vindication of his position. It could well be a simple business decision. With barristers costing hundreds of pounds per hour, the time and effort in defending the claim is not worthwhile particularly if costs cannot be recovered not least because the initiator of the defamation case does not have much in the way of assets. One suspects that Greenstein knows this and that is why he is so willing to commence legal proceedings. I wonder how many libel actions he has initiated or threatened to initiate. Silencing critics with such lawfair tactics is Stalinist to the extreme. Greenstein continues to harp on about his antifascism, conveniently ignoring that he held a senior position in an organisation, BAZO, that was backed by Saddam Hussein! If it were not so sad it would be comical. Repeating a false allegation that he has made a number of times previously, Greenstein alleges that I acted as an informant for Atzmon. He quotes an extract from a thread that shows nothing of the kind. I was researching Greenstein and, at the same time, attacking Atzmon’s chum, Paul Eisen. In fact, contrary to Greenstein’s false allegation, I have attacked Atzmon’s views. Greenstein’s argument on Zionists fighting Nazis has continually been that if any did so that they did it in spite of their Zionism as opposed because of it. However, this is a nonsense and is easily demonstrated as such. With the support of the Zionist leadership in Palestine a number of Zionist volunteers parachutists managed to reach Nazi occupied Europe intending on assisting in the resistance against the Nazis. (Sadly, some of these, including Hannah Szenes, were betrayed by Kasztner.) – See Judith Tydor Baumel’s essay on this subject in Yad Vashem Studies XXV (Jerusalem, 1996). Greenstein will probably not bother looking up this source as he is boycotting Israel. Greenstein claims that Nicosia was ” scared of drawing the obvious conclusions, viz. that Zionism was a movement of collaboration.” Contrary to Greenstein, the reason Nicosia did not argue that the Zionists collaborated with the Nazis was because it was false. Below I quote directly from Nicosia’s book Zionism and Anti-Semitism in Nazi Germany (Cambridge University Press, 2008). lest the reader imagine that the purpose of study such as this to somehow equate Zionism with National Socialism, Zionists with Nazis, or to portray their relationship as a willing and collaborative one between moral and political equals. The research, analysis and conclusions, do not in any way support such notions. The existence of certain common assumptions on the part of Zionists on the one hand, and nationalist and anti-Semitic Germans on the other, does not in any way connote moral and/or political equivalency. The dominant Zionist approach, like that of most non-Jews at the time, shared a reliance on the idea of an ethno-nationalist state, an idea that was the societal norm in Central Europe in the nineteenth and twentieth centuries. Their embrace of that norm does not make the Zionists the moral equivalent of the Nazis. Nor does the willingness of the Zionist or any other Jewish organisation in the Third Reich to cooperate with the state make them willing collaborators in the Nazi destruction of Jewish life in Germany; to suppose that any Jewish organisation in Hitler’s Germany prior to the ‘final solution’ had the option of refusing to work on some level with the state is fantasy. the Jewish Agency for Palestine and the Zionist movement in general recognized the critical link between its own survival and the survival and well-being of all Jews in the Diaspora. Even on a practical level, the Zionist view was that if the Nazis succeeded in murdering the great majority of Jews in Europe, a Jewish majority and state in Palestine might never be achieved. Greenstein demonstrates that he specialises in fabrications. It is one more thing that he has in common with the Stalinists. · Reply to Bogdanor 8.9.14. I had previously said that I wouldn’t respond to further replies from Bogdanor and his side-kick Ezra. However, now that I have some time, it would be churlish to avoid pointing out how our kosher fascist, in the absence of any coherent argument, insists on continuing to behave like a jaded holocaust denier. My only response to Ezra is that he should stop denying what is a matter of fact. That he is was a pitiful little informer for Gilad Atzmon is a matter of record, despite his denials of what is written down. 1. When Atzmon says to him ‘‘Mikey, can you provide us with the criminal record of this Bugger-Rance. Is he on spent conviction like greenie l or is he just an ordinary liar?’ If allegations of being a dirty little informer are wrong, then he would have replied with something like ‘I don’t know what you are talking about/I don’t deal with anti-Semites etc.’ But in his response he accepted what Atzmon had said but simply says that because he is investigating me (how would Atzmon know?) ‘Roland Rance will have to wait for another day.’ Condemned from the horse’s mouth! 2. Ezra speculates that The Times capitulated to my libel action because it was cheaper to do so. Only I know why they did as only I have the relevant documents. In fact The Times was determined to defend the action, on principle (not a word Ezra knows much about) but they obtained a legal opinion from Richard Rampton, Britain’s leading libel QC which made it very clear that Ezra’s testimony wasn’t worth a candle. That he was psychologically damaged goods. Hence they settled. 3. As for Bogdanor he is a good example of why Zionist attempts to deny their record of collaboration with the Nazis and their obstruction of rescue to everywhere but Palestine are doomed to failure. Because I agree with the Trotskyist analysis that the Soviet Union’s lack of a market economy was politically progressive, despite Stalin, that this makes me a Trotskyist. No doubt Isaac Deutscher was also a Trotskyist for the same reason. Bogdanor, as befits a red-baiting Jewish fascist can’t understand that you can agree with somebody without becoming their adherent. 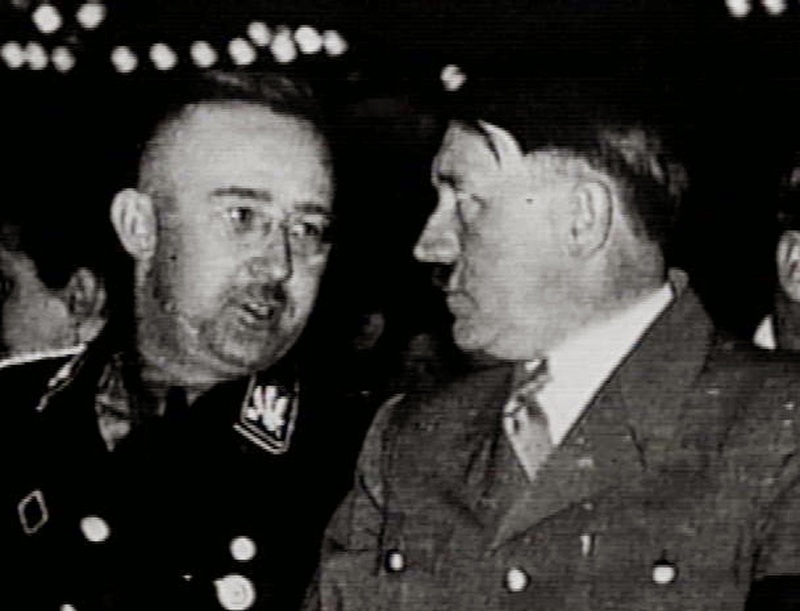 Bogdanor is similar to Ernst Nolte who relativised the position of the Nazis and the opposition, holding Stalin culpable. Bogdanor also reserves what passes for his barbs for Stalin’s Russia. He can’t stand the simple fact that up to 2 million Jews escaped from Hitler’s clutches by escaping into the USSR. In another debate with me he wriggled and twisted, amidst much abuse, but the evidence was overwhelming. But this was not exceptional. Even more terrible was the proposal to set up Yad Vashem as a memorial to the 6 million was first mooted when most European Jews were still alive: ‘The first proposal to establish Yad Vashem came in September 1942, from Mordechai Shenhavi of Kibbutz Mishmar Ha’emek at a board meeting of the JNF. http://en.wikipedia.org/wiki/Yad_Vashem citing The Ethics of Memory, Avishai Margalit, 2003, USA, Harvard. Tom Segev, The Seventh Million, p. 428]. The holocaust had begun just over a year ago at the time this suggestion was made. The proposal ‘reflected the tendency to remove the Holocaust from present reality, to treat it as though it were already a chapter in the history of the nation.’ Shenhavi had to make his proposals in practicable terms, i.e. in terms of the money it would raise. ‘It was the very last opportunity to score any financial success.’ [Segev, p.430]. This was at a time when the Jewish Agency had not even acknowledged that the Nazis were exterminating the Jews. 5. Bogdanor states that the quotation ‘Are we again, in moments of desperation going to confuse Zionism with refugeeism, which is likely to defeat Zionism’. is a fabrication. Not so, it can be found in Robert Silverberg’s book ‘If I forget Thee O’ Jerusalem’. Silverberg is an ardent Zionist with no reason to fabricate quotations, unlike Bogdanor. 7. For example Noah Lucas ‘As the European holocaust erupted, Ben-Gurion saw it as a decisive opportunity for Zionism… Ben-Gurion above all others sensed the tremendous possibilities inherent in the dynamic of the chaos and carnage in Europe.…. The forces unleashed by Hitler … must therefore be harnessed to the advantage of Zionism… By the end of 1942… the struggle for a Jewish state became the primary concern of the movement. [Noah Lucas, The Modern History of Israel, pp. 187/188.]. J B Agus asked whether ‘the Zionist programme and philosophy contribute (d) decisively to the enormous catastrophe of the extermination of 6 million Jews by the Nazis by popularising the notion that Jews were forever aliens in Europe. [ J B Agus, Meaning of Jewish History, New York, 1963 Vol.2 p.447]. Moshe Sharrett, Israel’s second Prime Minister after Ben Gurion, emphasised that: ‘The fate of Zionism is to be sometimes cruel towards the Jewish Diaspora, that is when the building up of this country required it.’ [Machover, ‘Why We Oppose Zionism’]. 8. Bogdanor says that ‘Greenstein purports to quote from Teveth’s biography (“In spite of the certainty that genocide was being carried out, the JAE did not deviate appreciably from its routine…”) Checking his page reference, the words placed in quotation marks by Greenstein simply do not appear.’ I suggest that Bogdanor checks his eyesight. Bogdanor cites a quotation from Ben-Gurion from Teveth: ‘“Were there a possibility of transferring Polish Jewry to America or Argentina we would have done so, regardless of our Zionist ideology. But the whole world is closed to us. Had we not room in Palestine, our people would have no choice but suicide.” (Ben-Gurion: The Burning Ground, 1886-1948, p. 855). ‘Zionism in the stage of development is not primarily engaged in saving individuals. If along the way it saves a few thousand, tens of thousands, or hundreds of thousands of individuals, so much the better.” but in the event of “a conflict of interest between saving individual Jews and the good of the Zionist enterprise, we shall say the enterprise comes first.” p.855 That should be clear, even to the falsifier Bogdanor and his historically revisionist method of historical analysis (drawing conclusions first, then fitting the evidence to it). Ben-Gurion’s pious comments that the holocaust meant the end of Zionism is mere hyperbole and does nothing to contradict the refusal of the Zionist leadership to engage in rescue and stop its obstruction of those who were so determined. Bogdanor states that my ‘falsehood’ [a favourite Stalinist term!] is a result not of dishonesty but ignorance. In the case of our kosher fascist they are primarily the result of dishonesty. He knows what the record actually was. 9. Bogdanor refers to Tuvia Friling’s ‘Arrows in the Dark’ about Ben-Gurion’s covert rescue committee. There is no evidence that this committee achieved anything, or had any impact or negated the official do, see and say nothing policy. · 10. As even Bogdanor is forced to admit, the first reaction of the Jewish Agency Executive was to oppose the bombing of Auschwitz. He states that the Zionists ‘were amongst the first’ to do so. This is meaningless. It was Rabbi Weissmandel who was the first to make such a demand, based on Verba-Wetzler’s Auschwitz Protocols that the Zionists did their best to suppress. 11. In another example of an outrageous lie, Bogdanor quotes me as saying ‘the Zionists “revelled 2 in the extermination of Europe’s Jews.’ I challenge Bogdanor to produce anything I have said which says the Zionists ‘revelled’ in the extermination. What he is doing is quoting his own lies and falsifications. Typical of Bogdanor’s holocaust denial method of historical analysis. 12. Yes Adam Czerniakow, Chairman of the Warsaw Jewish Council committed suicide rather than help in the round-up of Jews in the first Aktion. But the Judenrat and the Jewish police participated in the round-ups, dragging Jews to the Umschlagplatz collection point in the ghetto. Czerniakow was as bad as all the other Judenrat leaders. It’s just that he had a conscience. For example Czerniakow refused to cancel the appointment of the hated Josef Szerynski as head of the Jewish police. On 21 August 1942 ZOB [the Jewish Resistance] shot Szerynski wounding him in the face. [Hilberg, p. 532., Destruction of Europe’s Jews] Czerniakow, with his appointment of Szerynski, against the opposition of the Bund, could be and was, just as autocratic. [Patterns of Jewish Leadership in Nazi Europe 1933-1945,.p. 21-22, Isaiah Trunk, Typology of the Judenrate’]. The reign of Szerynski was ‘one of the bleakest chapters’ in the history of the Warsaw ghetto. [Patterns of Jewish Leadership in Nazi Europe 1933-1945, p.210]. The evidence I present concerning the role of the Jewish Councils does not come just from Nazis such as Eichmann and Wisliceny, though it is important to note the views of the Nazis, since they were responsible for their establishment. I also cite what Raul Hilberg, the greatest of the holocaust historians (and a Zionist) wrote: ‘‘the most important concentration measure prior to the formation of the ghettos was the establishment of Jewish councils.” [The destruction of European Jews, New York 1985, p.75]. In other words a typical Bogdanor distortion. 13. In desperation Bogdanor accuses me of quoting ‘Zionists’ therefore the Zionist movement’s role was fine: ‘On Kasztner, Greenstein has now admitted that he uses Zionist sources – Halevi, Rosner, Krausz – and so it was the Zionists who condemned Kasztner. This means that Kasztner’s conduct in Hungary was not representative of Zionism.’ It would seem that Bogdanor is also an idiot as well as a liar. I’ve already stressed, although it has not percolated in the dim recesses of his mind, that individual Zionists cannot be equated to the Zionist movement as a whole. So of course I cite Zionist sources. It is that which is so damning. The evidence that the Zionist leaders that Bogdanor is so eager to defend were collaborators comes from members of his own movement! ‘Where I was implicated in the physical annihilation of the Jews, I admit my participation freely and without pressure. After all, I was the one who transported the Jews to the camps. If I had not transported them, they would not have been delivered to the butcher.’ In a chapter headed ‘The order for annihilation Eichmann writes; ‘After the onetime German Fuhrer gave the order for the physical annihilation of the Jews, our duties shifted.’ Eichmann also writes of his 1937 visit to Palestine: ‘I did see enough to be very impressed by what the Jewish colonists were building up their land. I admired their desperate will to live, the more so since I was myself an idealist.’ It is quite clear that Eichmann is not denying the holocaust. That is what makes his testimony invaluable and why holocaust denial sites don’t carry the interview. Wisliceny doesn’t incidentally say that the holocaust was carried out by the Jews but the Nazi created Jewish Councils helped in its facilitation. A distinction Bogdanor clearly doesn’t, like much else understand. I’m also putting this debate on my blog so that people can see how Zionist propagandists find it so difficult to defend their record. 1. I called Tony Greenstein a Trotskyist. Tony Greenstein denied being a Trotskyist. I produced a quotation by Greenstein expressing agreement with the Trotskyist analysis of the USSR. Greenstein still denies that he is a Trotskyist. How then will he explain his own statement (in a previous exchange with me): “I come from the Trotskyist tradition”? Greenstein’s efforts to weasel his way out of the fact that he is a Trotskyist – and thus a supporter of a movement opposed to the Allied war against Nazism – are as hilarious as they are pathetic. 2. Greenstein compounds his lie by repeating his previous revisionist nonsense – refuted at the time – portraying Stalin, progenitor of the Nazi-Soviet Pact, as the humanitarian saviour of millions of people. He even has the chutzpah to mention Ernst Nolte, when I have long since documented his own striking similarity to the German revisionist. Readers may want to check for themselves. 4. Greenstein twice used a quotation (“are we again, in moments of desperation, going to confuse Zionism with refugeeism, which is likely to defeat Zionism…”) from the “49th annual convention of Zionist Organisation of America, New York Times, October 27 1946.” I pointed out that there is no such quotation anywhere in the NYT report on that date. Now Greenstein does not even claim that it can be found in the NYT. Instead he protests that he found it elsewhere and did not try to verify it. Which means, at best, that Greenstein is willing to use whatever fabricated quotations he can find in a secondary source. 5. Greenstein cited a publication of the Israeli Communist Party, which was and is openly Stalinist. I called such a “quotation” worthless, and drew attention, yet again, to Greenstein’s reliance on Stalinist hate propaganda. Now Greenstein does not even pretend that the quotation is genuine or that it can be found in any other source. 6. On one point alone I concede error – thanks to Greenstein’s error. Greenstein repeatedly quoted Teveth, p. 844, and I checked that page, where Greenstein’s quotation does not appear. But the words quoted by Greenstein do appear on p. 848, not p. 844. However, even here Greenstein has wrenched the passage out of context, for on pp. 848-9, Teveth produces a series of predictions by Ben-Gurion of the Nazi extermination of the Jews and states that Ben-Gurion’s reason for giving priority to Palestine was his fear of “the destruction the Yishuv could expect in the event of a German invasion of Palestine” (p. 849). Not indifference to the Jews of Europe but the potential extermination of the Jews of Palestine explains Ben-Gurion’s attitude, according to Teveth. 7. I accused Greenstein of ignorance of Ben-Gurion’s covert rescue operation for the Jews of Europe, and cited Friling, where the information is to be found. Greenstein has not read Friling, but he hastens to proclaim that there is “no evidence that this committee achieved anything,” when Friling supplied 2 volumes of evidence. For the record, thousands of Jews were smuggled out of Europe, primarily Romania and the Balkans, by Zionists. As opposed to Greenstein’s Trotskyists, who did not bring Jews out of Nazi Europe, and who were content to oppose the war against Nazism – a position Greenstein (quite rightly) finds so shameful that he now pretends not to be a Trotskyist in spite of his own statements proving that he is one. 8. Greenstein denies that the Zionists were among the first to demand the bombing of Auschwitz. The fact is that Gruenbaum lobbied the Americans to adopt Weissmandel’s proposal to bomb the death camp and the rail lines leading to it. The JAE’s debate on June 11, 1944 was a debate on Gruenbaum’s lobbying effort. The JAE voted against the proposal to bomb the camp (not the rail lines) solely because they did not want to cause the death of Jews. But having learned of the scale of the killing at Auschwitz from the Vrba-Wetzler report, they reversed that decision, and Weizmann and Shertok were the first to put the bombing proposal to the British. As opposed to Greenstein’s Trotskyists, who could not make such a demand since they opposed the whole Allied war effort against Nazism. 9. Greenstein previously wrote that Ben-Gurion “positively revelled in it,” where “it” refers to the affliction of the Nazis. Greenstein now protests that it is an “outrageous lie” that he accused Zionists of revelling in the Holocaust. I urge readers to check Greenstein’s own words above. Contrary to what he says I have represented him accurately. Hundreds of acts of defiance and revolt were organised by Jewish Councils. Take, for example, a 7-day period in May 1942. — On May 1, in Bilgoraj, the Jewish Council was ordered to compile a list of candidates for deportation. The Vice-Chairman of the Council, Hillel Janova, and three other members of the Council refused to do so. All four were shot dead on May 3. — Two days later, in Dabrowa, the Chairman of the Jewish Council, Adolf Weinberg, refused to deliver a list of so called “resettlement” candidates, or to reveal where those threatened with deportation were hiding. He and his entire family were deported to their deaths. — At Szczebzeszyn, a Council member, Hersh Getzel Hoichbaum, on learning that none of those sent away for “resettlement” were ever heard of again, told his Council colleagues that he did not wish to be the despatcher of fellow Jews to their deaths, and hanged himself in his attic. — At Iwje, two council members, Shalom Zak and Bezalel Milkowski, were among those selected by the Germans not to be deported. They at once insisted on joining the deportees, and were killed, together with their families and 2,500 other Jews, on May 8. 11. Greenstein is forced to admit that it was the Zionists who condemned Kasztner, but pretends not to understand my point that in such a case Kasztner was not representative of Zionism. Moreover he has no answer to my quotation from Halevi’s verdict explicitly stating that the Zionists ordered Kasztner’s rescue committee (and other Zionists) to resist the Nazis – orders that Kasztner disobeyed. 12. On Kasztner’s testimonies in Nuremberg, Greenstein continues to confuse Barri’s conclusions with evidence for those conclusions. Barri, in order to exonerate Kasztner, wants to show that the Jewish Agency authorised him to help Nazi war criminals. But the evidence cited by Barri shows the opposite. She quotes Riegner, who expressly stated that Kasztner never received permission from the WJC or the Jewish Agency to testify for Nazis. Greenstein asks why the Jewish Agency paid Kasztner’s expenses while he was at Nuremberg. The reason is that Kasztner’s activities at Nuremberg included testifying against Nazis. Among others, he helped to prosecute Veesenmayer (who received a long sentence, later commuted) and Kaltenbrunner (who was executed). This is why historians do not regard Kasztner’s conduct at Nuremberg as proof of collaboration. For that, one must examine his activities in Hungary. And Greenstein does not consider this to be Holocaust denial. But then that is only to be expected from one who distributed a work claiming that Anne Frank’s diary was a forgery, and whose own writings are respectfully reproduced on Holocaust denial websites. That AIPAC acts as the very kind of anti-Semitic caricature in terms of its buying of politicians, its naked conspiracies against those who don’t toe the line doesn’t need to be emphasised. Those who run this despicable outfit seem determined to act out the lines prepared in the Protocols of Elders of Zion. And so on. In vomiting out his antisemitic bile, as in his use of fabricated quotations, this Trotskyist who pretends not to be a Trotskyist proves himself a worthy student of Stalinist hate propaganda. · For Greenstein to suggest I am an informer for Atzmon is a nonsense. And there is nothing in the quote he has provided to suggest this is so. In fact, As Greenstein is well aware, I write for the blog Harry’s Place which has been one of the most vocal opponents of Atzmon. This can be compared to Greenstein who sent Atzmon a friendly note saying that he would be “more than happy” to hear him play the sax. Moreover, in that email, Greenstein praised Atzmon’s remarks on the very subject that this thread is dicussing: Greenstein’s allegations of Zionist-Nazi collaboration. For all I know, Atzmon might have been Greenstein’s source for some of the nonsense he has written in this thread. As for the litigation against The Times, Greenstein disputes my claim that the amount paid out to a charity (£1,000) and an apology which was only left on The Times website for a week could well have been a business decision. If Greenstein was so right, and given he has been prepared to utilise the bourgeois courts previously, why did he agree to the small sum of £1,000 (and that is very small in libel terms) and to a charity? The truthful answer is far more likely that Greenstein was frightened off with a Burstein plea by The Times. Given the distortions, lies and simple falsehoods in all Bogdanor's posts it would be a waste of time to spend any more time on him.